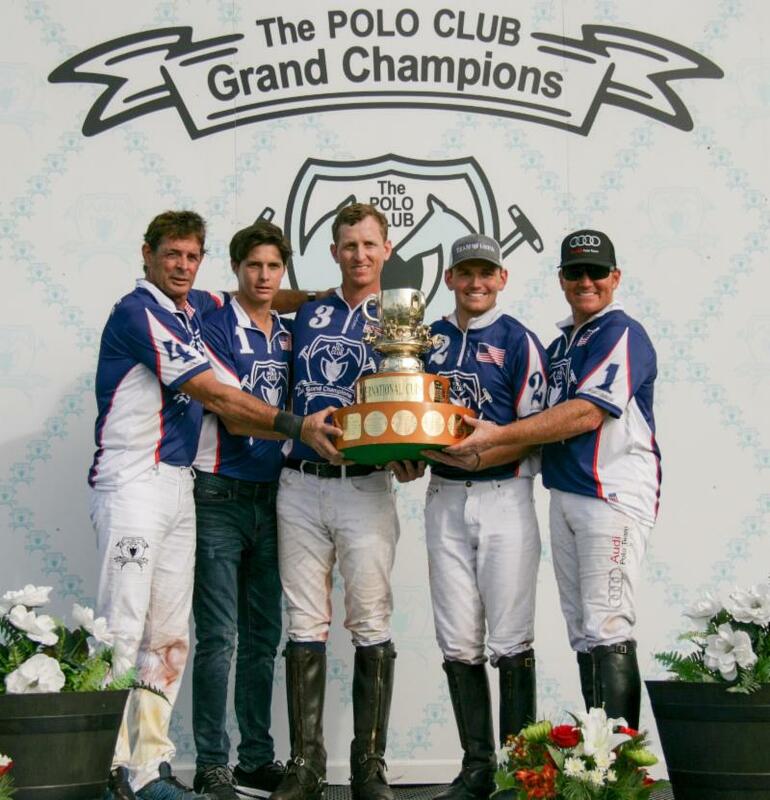 We Are The Champions, Team USA's Juan Bollini, Juancito Bollino, MVP Jeff Blake, Grant Ganzi and Marc Ganzi seven-peats International Cup. 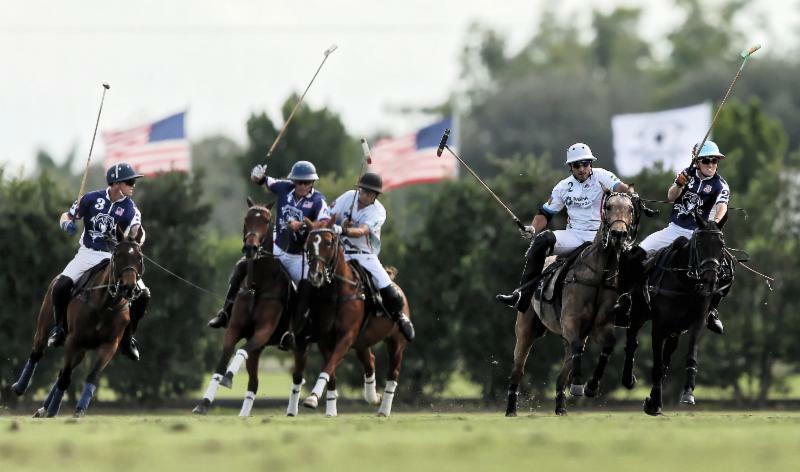 WELLINGTON, Fla., November 26, 2018---In an exciting finish, Team USA remained undefeated with a hardfought 9-7.5 victory over Azerbaijan in the International Cup Saturday at Grand Champions Polo Club. International Cup finalists along with family, friends, sponsors and Wellington Mayor Anne Gerwig. In front of a packed house, the team of Marc Ganzi, Grant Ganzi, Jeff Blake and Juan Bollini led for most of the game to turn back the upset-minded Azerbaijan team of Rashad Hasanov, Elcin Jamalli, Andres (Lala) Laplacette, Adrian Laplacette and reserve Amil Namazov. It was an unprecedented seventh consecutive victory in the international match and one of the closest margins of victory in a regulation game. Since 2012, the U.S. has defeated England, Chile, Mexico, South Africa, Uruguay and Brazil. It was one of the most experienced U.S. teams in event history. Adrian Laplacette of Azerbaijan about to hit downfield with Jeff Blake of Team USA defending. Blake, a three-time U.S. Open champion and Team USA captain, was named Most Valuable Player in his International Cup debut. 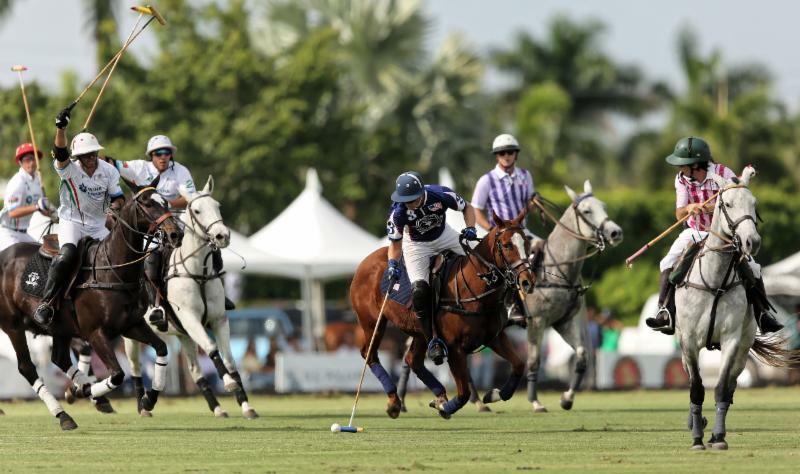 Blake, at six goals was the highest rated member of the team and winningest American-born Floridian of all time in polo. "It was some added pressure being my first time in the international match knowing they had won six straight," Blake said. "Marc scored some big goals at important moments. Grant played very smart and disciplined. Juan was phenomenal at back the whole game especially at the end when we left him alone with three Azeris and he won the play." Grant Ganzi of Team USA and Elcin Jamalli glance behind them for the ball coming from Marc Ganzi. Marc Ganzi scored a game-high four goals. Blake added three goals and Grant Ganzi had two goals. Argentine cousins Adrian and Andres Laplacette and nephews of Juan Bollini, shared scoring honors for Azerbaijan each with two goals. Bollini, at 56 the oldest player in the lineup, replaced his son Juancito Bollini for the U.S. The former 8-goaler from Argentina was granted U.S. citizenship a week ago. 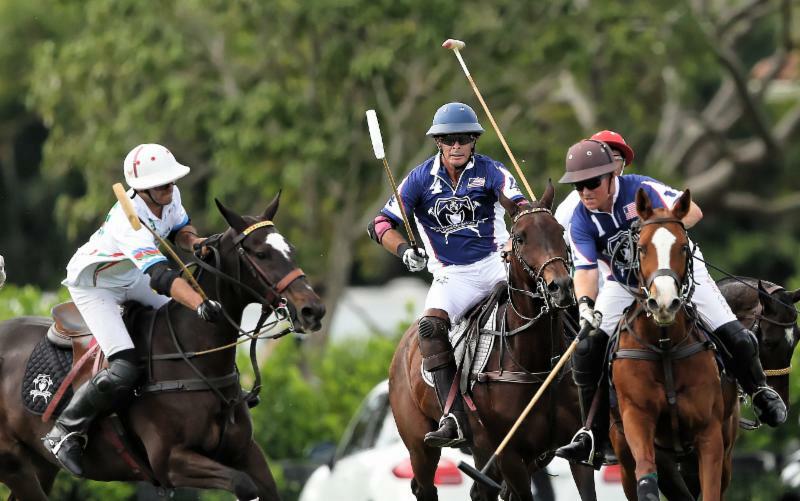 His son was injured during the USPA National 20-Goal tournament and unable to play. 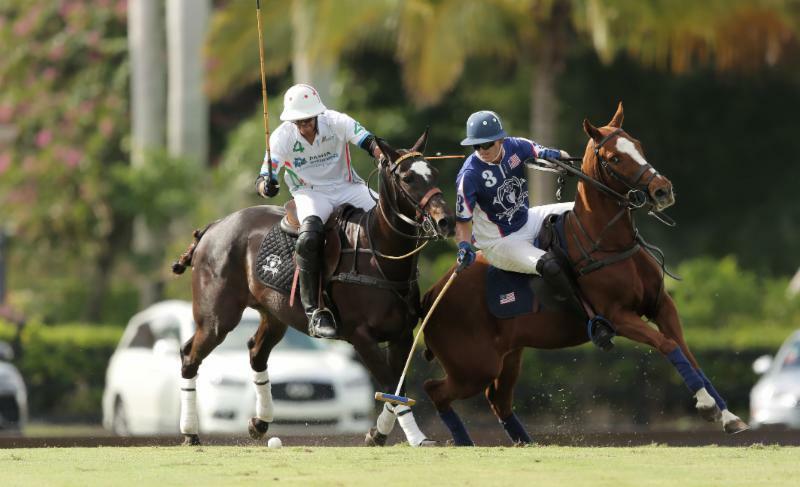 Marc Ganzi and his horse look to be flying through the air downfield with Lala Laplacette of Azerbaijan in pursuit. "For me to be an American and play for America is a real dream come true, it's like a movie," Bollini said. "I wanted to do well for my son, I wanted to win and have him on the podium with me. "I am very proud to play for the USA, it never crossed my mind I would be able to do it," Bollini said. "I was so excited, I couldn't sleep. I felt like I was playing the final of the British Open. We knew it would be a very tough game.They have a lot of good players." Juan Bollini of Team USA rides off Amil Namazov of Azerbaijan. 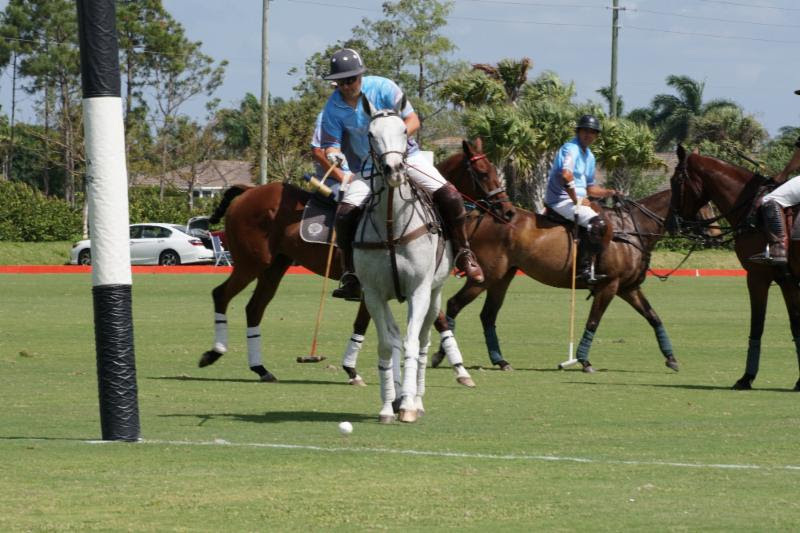 Ganzi, a junior at Lynn University and Team USPA member, won his third consecutive International Cup. He wears the American flag on his helmet. At 20, Ganzi is the youngest member of Team USA. 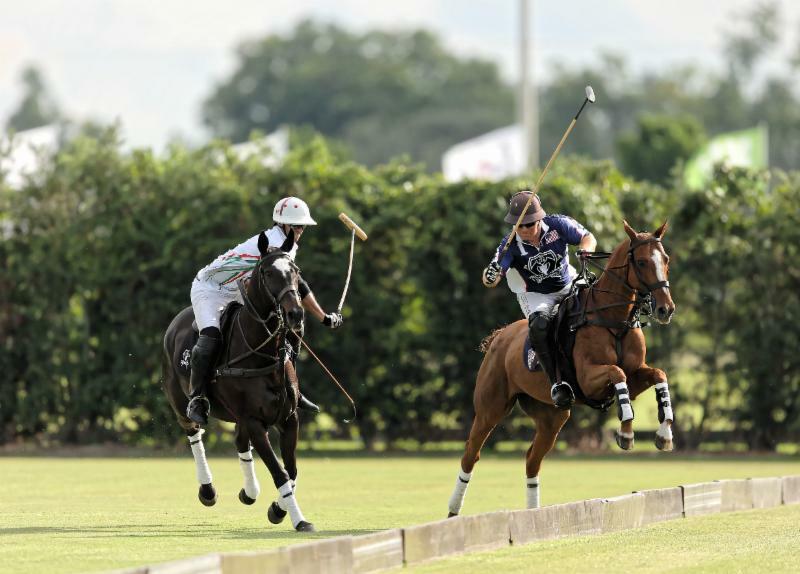 Ganzi, a third generation polo player first won in 2016, playing alongside his father Marc, a 2009 U.S. Open champion, winning his first International Cup against Uruguay. MVP Jeff Blake of Team USA gets the ball away from Adrian Laplacette of Azerbaijan defending. "The win takes on added meaning when you play for the U.S.," Ganzi said. "It's always a huge deal for me when I step on the stage and play for the U.S. This is as big as it gets and I'm just so happy to win again." Team USA dominated most of the hardfought, physical game. Marc Ganzi of Team USA defends the near side shot of Adrian Laplacette as his horse jumps the boards. 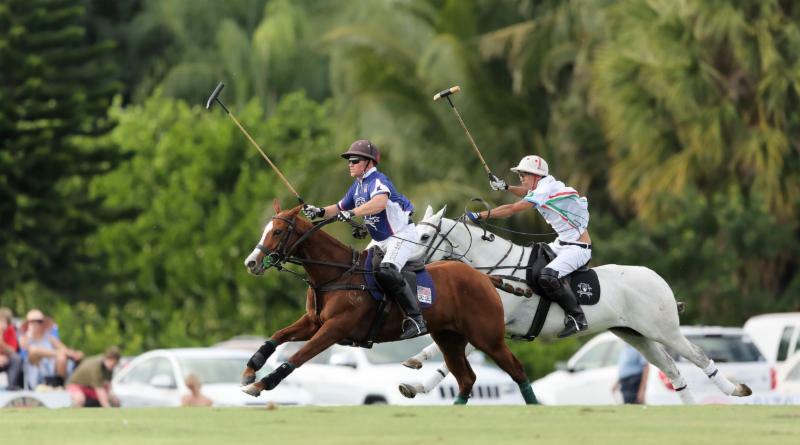 "We played really well in the first half and pretty good in the fourth chukker, the last chukker was really not our best," Ganzi said. 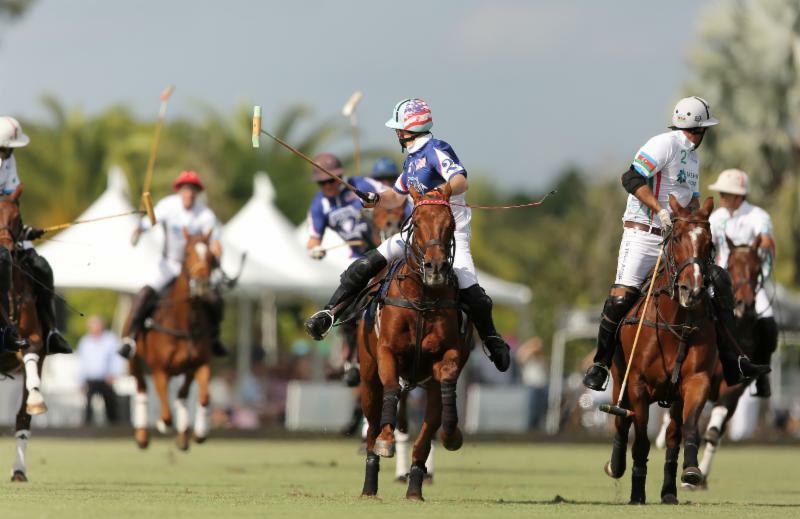 "They clearly saved some horses for the last chukker knowing that maybe they would be in a tough spot. We came out strong when it mattered to secure the victory." Azerbaijan made it interesting late in the game. 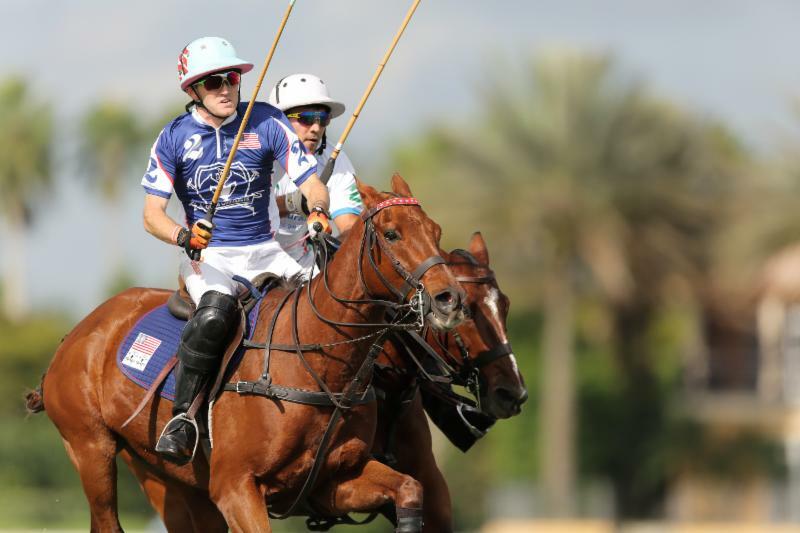 Trailing 8-4.5 with 1:27 left in the fourth chukker, the aggressive Azeris scored three unanswered goals before Elcin Jamalli missed a scoring opportunity and Marc Ganzi scooped it up to score an insurance goal. Tom Blake, brother of MVP Jeff Blake, gives a moving rendition of the National Anthem before the International Cup. 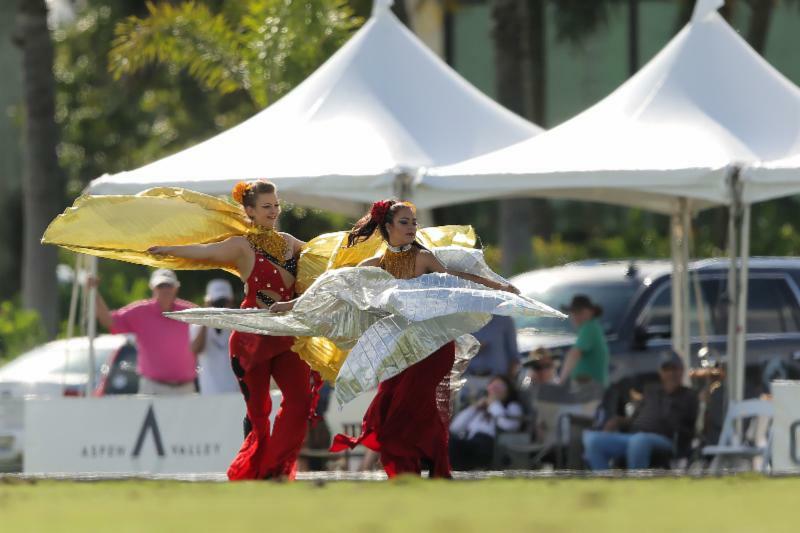 "It was a great last chukker, we were close," said Azeri Andres (Lala) Laplacette. "It was a very exciting finish. We came to win. We are a strong team and had a really good time. "We represented our country well. The American team was very well-organized. And of course, they know the field, they know the horses, they know everything how it works here. We are visitors. I think they got scared a little bit at the end. Grant Ganzi of Team USA outraces Elcin Jamalli of Azerbaijan for the ball. "Besides the game, the hospitality was very good, everything was very well-organized, the reception was amazing... this event was so big," Laplacette said. 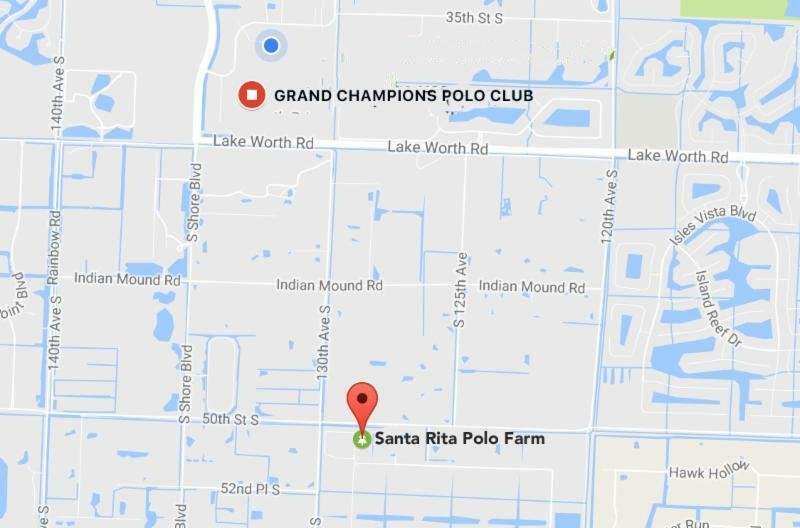 Two Wellington-based Santa Rita Polo Farm-owned horses were honored. 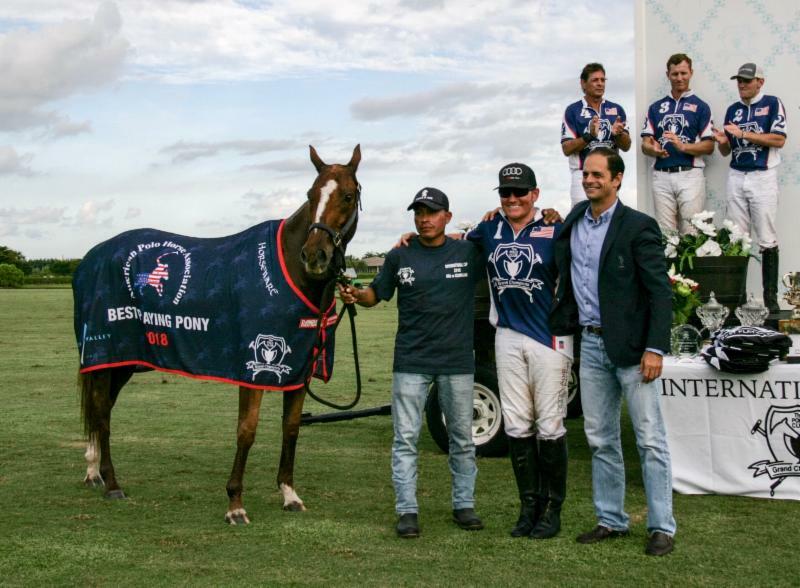 The American Polo Horse Association Best Playing Pony was Nadia, a 5-year-old chestnut mare played by Marc Ganzi, and Grand Champions Best Playing Pony was Fendi, an 11-year-old dark bay mare played by Adrian Laplacette. Marc Ganzi of Team USA maintains possession of the ball despite pressure defense. 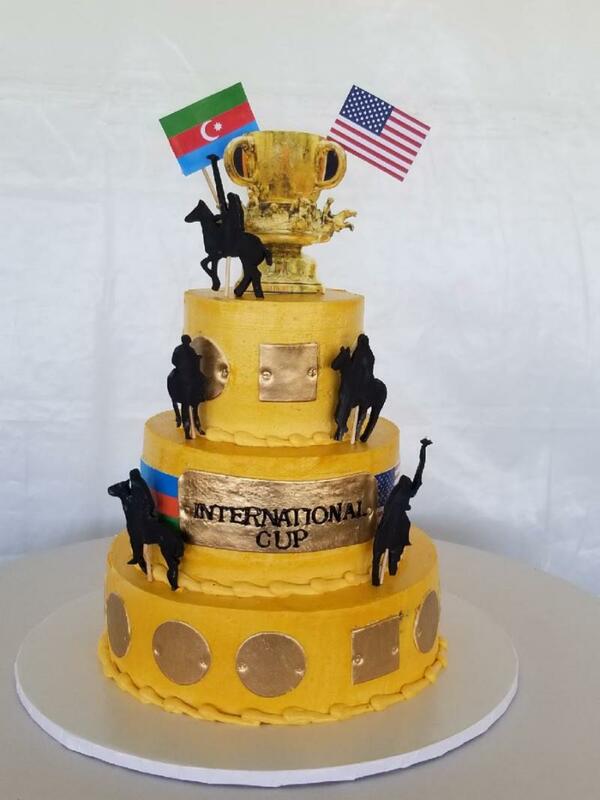 Azerbaijan, known as the Land of Fire and Ice, is one of the most improved polo teams in the world and it showed against Team USA. Recently, Azerbaijan finished runner-up to Italy in the 14-team FIP European Championship. 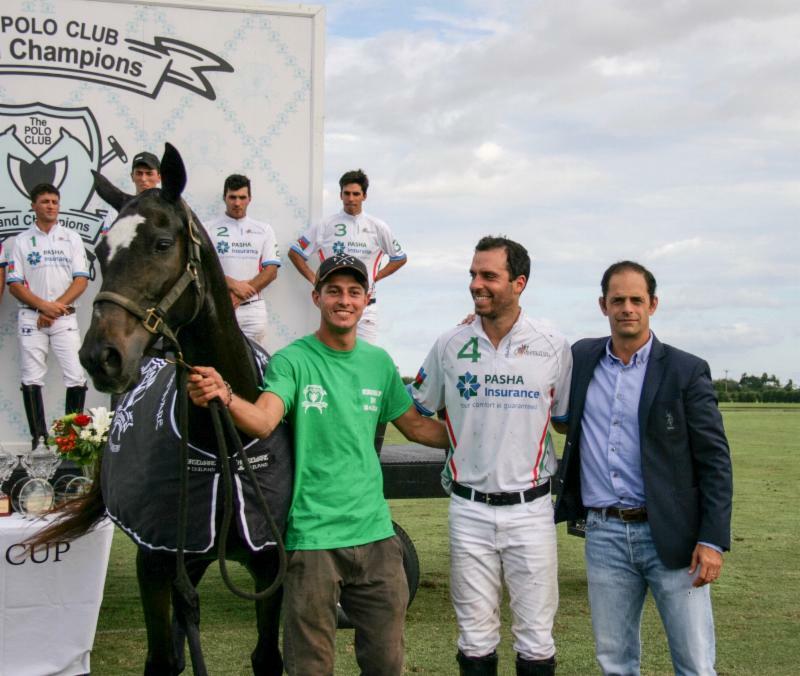 Two years ago, it won the European Championship in arena polo. MVP Jeff Blake of Team USA works the ball ahead of a crowd of Azerbaijan players. 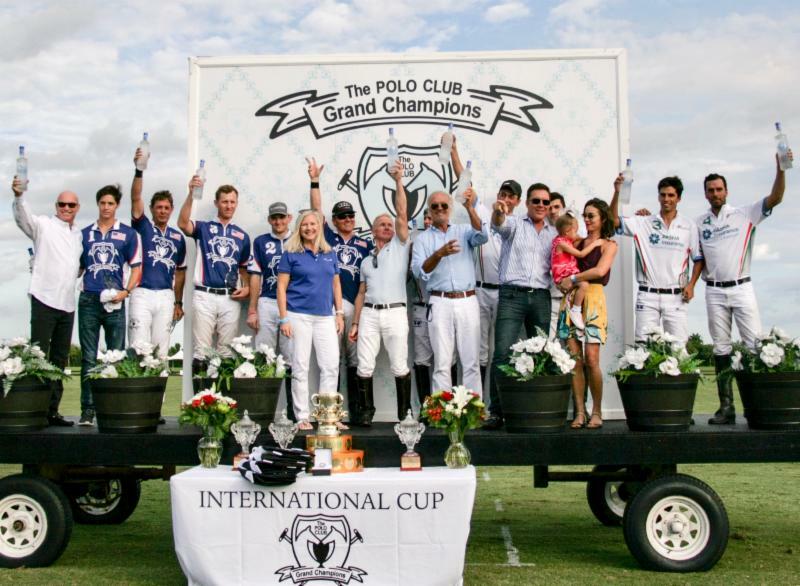 "It was a great game and these players represented Azerbaijan well," said polo visionary, promoter and snow polo founder Reto Gaudenzi. He brought the first FIP Arena Polo European Championship to Baku. "At the beginning the USA was dominating the game but then they caught up and at the end it was a very close call. I think by being in America and playing against America, Azerbaijan had really a fantastic game. I think they are already a power in Europe. They are improving every day. I think it's great to see a new emerging country which is actually one of the oldest polo countries in the world because polo comes from that region. It was all the Persian Empire at one time." 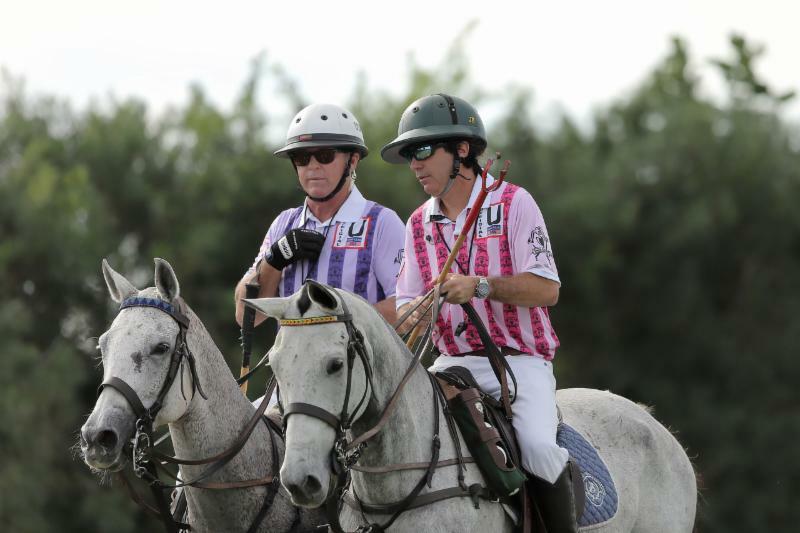 Grand Champions umpires Dale Schwetz and Julio Escurra rock the new colorful shirts designed by Polo Gear USA. Last year the team of Grant Ganzi, Carlitos Gracida, Julio Arellano and Mike Azzaro defeated Brazil, 9-7. Arellano was named Most Valuable Player for the third consecutive year. Before that, Nic Roldan was a three-time MVP winner. Marc Ganzi of Team USA on his way to scoring one of his game-high four goals. 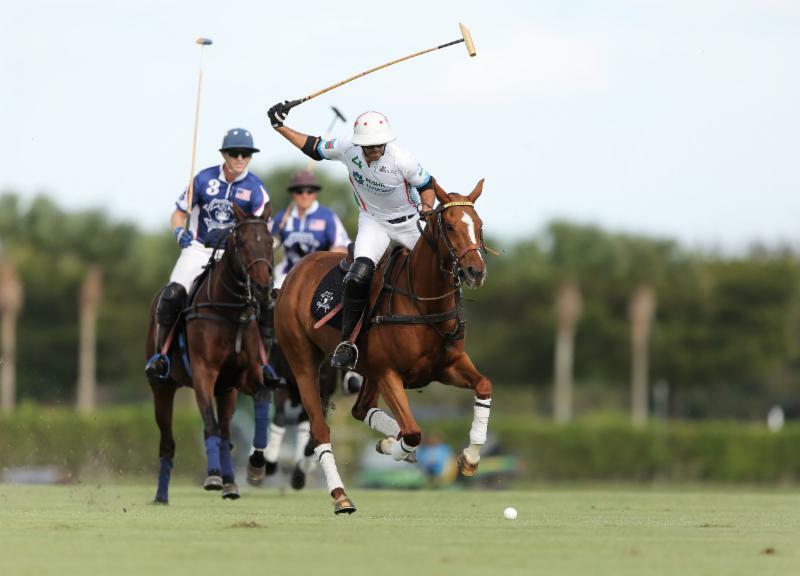 American Polo Horse Association Best Playing Pony Nadia, played by Marc Ganzi. 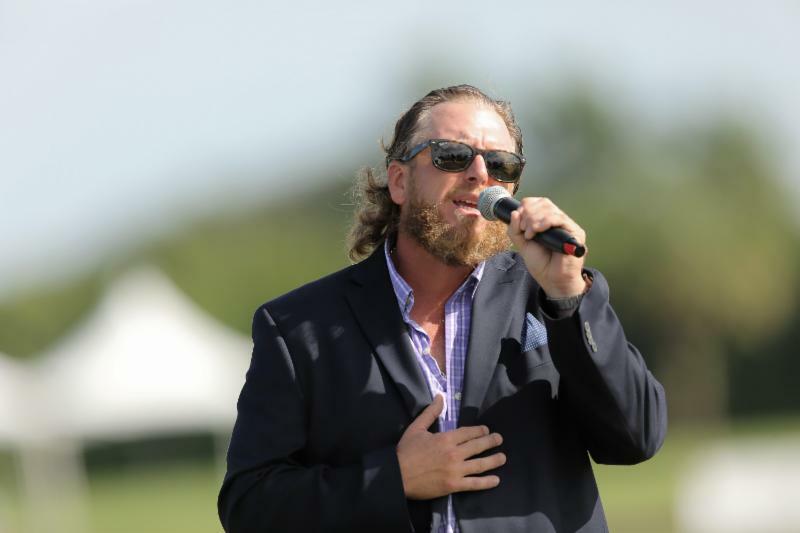 Popular local singer Tom Blake, older brother of MVP Jeff Blake, gave a stirring rendition of the National Anthem. Azeri dancers entertained the crowd at halftime. Grand Champions Best Playing Pony, Fendi played by Adrian Laplacette. 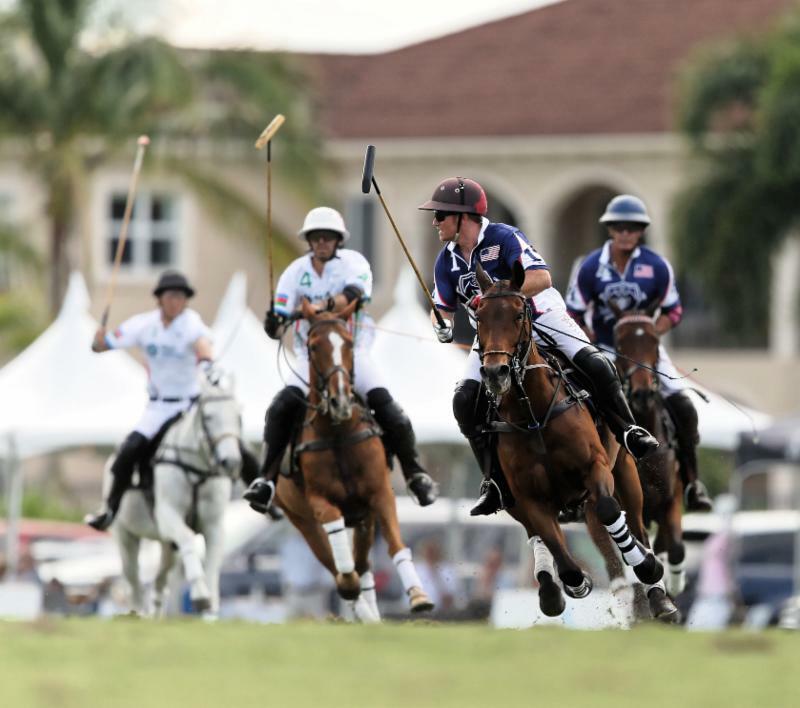 Proceeds from the doubleheader benefitted The Museum of Polo and Hall of Fame, a non-profit educational organization, dedicated to fostering an appreciation of the development, history and tradition of the sport of polo by collecting, preserving, exhibiting and interpreting its collections as well as honoring those who have made outstanding contributions to the sport. Dancers entertained the crowd at halftime. 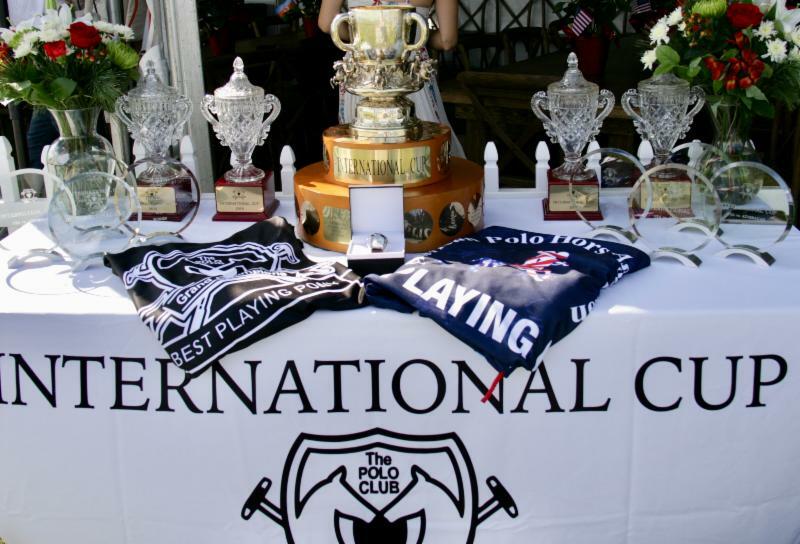 Awards table for the coveted International Cup. Breathtaking International Cup cake designed by Johnson's Custom Cakes of Wellington. 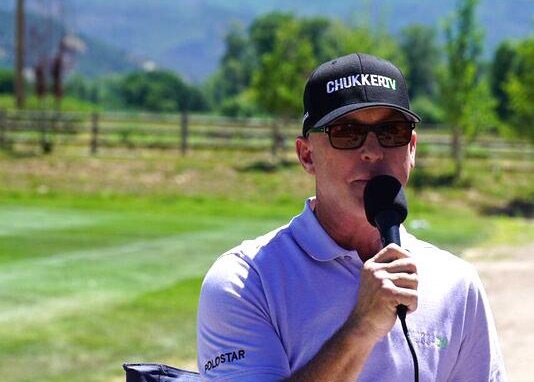 Photos by Gabrielle Stodd for ChukkerTV.